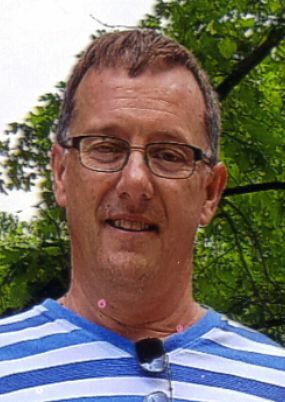 West Sand Lake - Stephen J. Lettko, 53, of Route 150 died Wednesday, September 5, 2018. Born in Troy, he was son of the late Francis Lettko and Jean A. Shorkey Lettko and husband of Cindy Clemmons Lettko. He was raised in Troy and resided in the Town of Sand Lake for the past 12 years and was a graduate of Troy High School and attended Schenectady County Community College. Stephen was an Assistant Manager for 10 years at TJ Maxx in Troy and Rensselaer. He enjoyed gardening, cooking, baking and vacations in Maine. He was a veteran of the US Army. Survivors in addition to his wife include his three children, Alexa Desormeau, West Sand Lake, Connor Desormeau, E3, USAF, Arizona and Tanner Lettko, West Sand Lake; three brothers, David F. (Colleen) Lettko, Troy, Paul A. (Kim) Lettko, Troy and Pastor Frank Joseph (Donna) Lettko, PA and several nieces, nephews and cousins. He was predeceased by his siblings, Marion and Charles Lettko. Relatives and friends may call at the DeGraaf-Bryce Funeral Home, Inc. 4392 Route 150 West Sand Lake on Monday, September 10, 2018 from 4-7 PM with a service to follow at 7PM with Rev. Thomas F. Holmes, officiating. In lieu of flowers contributions may be made in memory of Stephen J. Lettko to the Charity of one's choice.